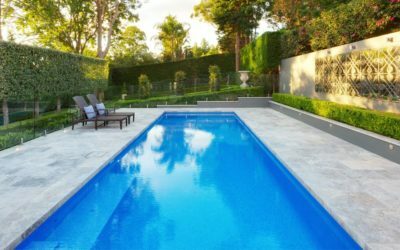 TRAVERTINE TILES CARE & MAINTENANCE GUIDELINE - The BEST prices in Australia for high quality travertine stone tiles! 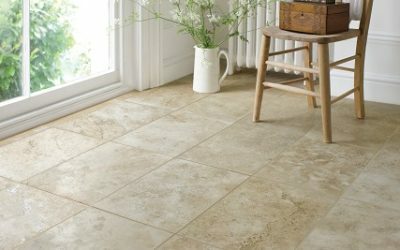 Travertine tiles will add a lifetime of beauty to your home, but only if it’s properly cared for. 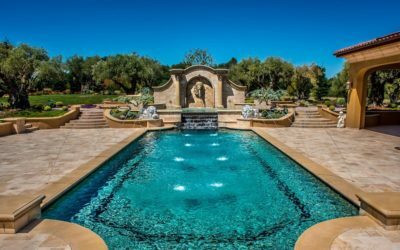 Before deciding that travertine stone is the best option for your home, it’s important to understand what’s involved in the cleaning and maintenance of travertine. You wouldn’t purchase a car without learning about its safety features or gas mileage. If you want your travertine stone tile to last a lifetime, it’s important to learn the ins and outs of proper travertine stone care. Regular maintenance is key to a long lasting floor. There are generally two types of stone that are most often used in interiors: hone-finished stone and brushed-finish stone. Hone-finish stone has a satin-smooth surface with little light reflection, while Polish-finished stone has a high gloss surface that reflects light and also accentuates the color and stone markings. Honed-finish travertine stone is commonly found in high traffic areas such as floors, thresholds, and treads, whereas polished-finish stone is found on counter tops, walls, tables, and furniture. Interior stone can generally be cleaned by dry dust mopping to remove dirt and debris. To wash your interior stone, use a neutral (PH 7) and clean water. Honed-finish stone can tolerate only a neutral PH 7 mild abrasive cleaner. It’s ideal to use a soapless cleaner, as soap can often leave streaks and film behind, which may be noticeable on polish-finished travertine stone. Ideally you should use mild, phosphate-free, biodegradable liquid dishwashing soaps or powders or stone soaps to clean your travertine. Follow the manufacturer’s directions on the cleaning solution and gently wash in an overlapping sweeping motion from the bottom up (on a vertical surface). Change the water often as you go and rinse thoroughly with clean water. If necessary, a wet vacuum can be employed to remove contaminants from the tile. If you’re cleaning a high traffic area, an automatic scrubber fitted with a disc brush will work effectively to remove dirt and debris without damaging the stone tile. Many foods, drinks, and cosmetics contain acids that may etch or dull a stone’s surface. For this reason, it’s important to use coasters, trivets on counter tops and tables or where food preparation is likely. Many food preparation stone surfaces use a sealant; be aware that any sealant or impregnator must be nontoxic and safe for food preparation surfaces. Spills should be blotted immediately or as soon after as possible to avoid damaging the stone’s surface. Regular cleaning with a solvent-free cleaner will keep surfaces looking their best. Because travertine comes from the limestone family, you should never use an acid or chemical cleaner when caring for the surface. There are many cleaners readily available for stone cleaning. 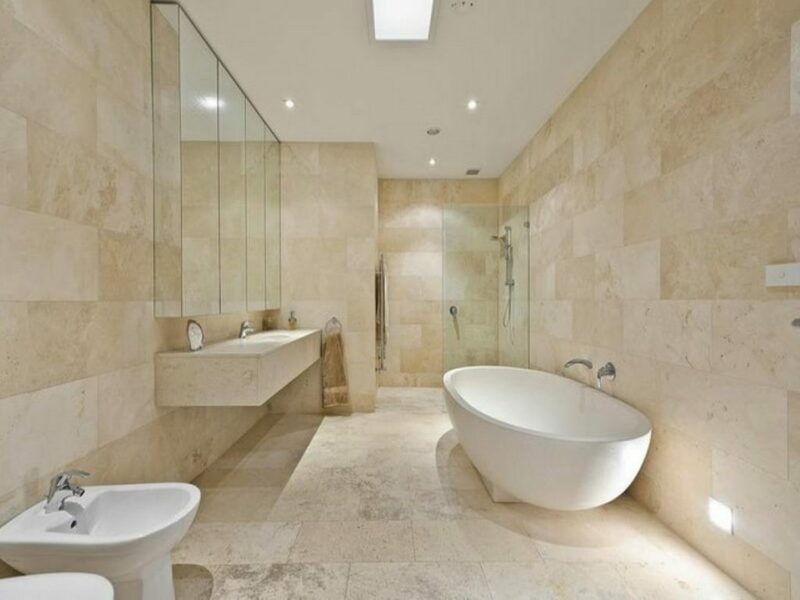 Your stone supplier or installer can direct you to the best cleaner available for your travertine tiles. In order to keep your travertine tile looking like new, it is important that a sealant be applied. Some tiles will not require this, as they will be pre-sealed. To determine if your tile needs to be sealed, apply a small amount of water to the surface. If the water is absorbed by the tile and the tile darkens, it needs to be sealed. The surface preparation, density, and porosity of the stone will help you determine whether a water based or petroleum based sealer is indicated. Check for the tile manufacturer’s recommendation and then purchase the very best sealant in your budget. An oil-based stain is one created by grease, cooking oil, cosmetics, tar, and other items that have any oil in them. An oil-based stain darkens the stone and will usually need to be chemically cleaned in order to dissolve and then rinse away the source. First, you must remove any excess staining agent by wiping it away if it’s soft, or in the case of tar, chipping it off. Then clean the area gently with a soft liquid cleanser. Suitable cleansers include ammonia, household detergent, acetone, or mineral spirits. It’s important that you don’t pour the cleaner directly on the staining agent itself, as that could cause the agent to thin and seep into more of the stone. Instead, wet a cloth with the cleaner and place it over the stain in order to draw the agent into the cloth. You may also use a cleaner specifically designed to remove oil-based stains such as an alkaline degreaser or a homemade poultice. An organic stain is one created by an organic substance such as coffee, tea, tobacco, fruit juice, food, paper, urine, leaves, bird droppings, or bark. These substances will often leave a pinkish-brown stain that, if outdoors, may disappear after the source of the stain has been removed because of the normal bleaching process caused by the rain and sun. However, if the stain is indoors you will have to use a cleaning formula. To make your own you can use 12% hydrogen peroxide mixed with a few drops of ammonia. You can also purchase commercially marketed cleaners or use a homemade poultice. Any form of ink, such as that found in magic markers or pens, could cause an ink stain. If the color of the stone is light, clean it with bleach or hydrogen peroxide. For darker stones use acetone or lacquer thinner. Do not pour a cleaner directly on the stain, as it could result in the staining agent thinning and spreading further along the surface. Instead, wet a cloth with the cleaning agent and allow the stain to be drawn into it. If the paint is covering only a small portion of the tile, scrape it off with a razor blade, or remove with a lacquer thinner. If a large area is covered by the paint, it must be removed with a commercially formulated liquid paint stripper. Under no circumstances should you use flame tools or acid to strip the paint from the stone. Water Spots and Rings – Water damage occurs due to the surface accumulation of hard water. To remove these stains buff the affected area with dry #0000 steel wool. This damage is typically seen with stone that is part of a fireplace. In order to remove the stain you must thoroughly clean the stone. This is most easily accomplished with commercially formulated smoke removal products. These stains are left by acid that has been left on the surface of the stone. Some acids will cause the finish to be etched but the surface of the stone won’t actually be stained; other acids will etch the finish and discolor the stone. Once the acid has been removed, wet the surface with water and apply marble polishing powder. Rub the powder into the stone with a buffing pad and a drill or polisher set to a low speed, or by hand with a damp cloth. Buff until the etch marks disappear and the surface shines. Honing may be needed for a deep stain that requires a professional stone refinisher. Efflorescence – This is a white powdery substance that appears on the stone’s surface. It is caused by mineral salts within the stone being carried to the surface of the stone by water and then being left behind when the water evaporates. For new installations simply vacuum or dry mop the surface of the stone and repeat as needed until the stone has completely dried. Do not use water to remove the powder, as this could exacerbate the situation. If the problem is persistent, contact the contractor in order to identify and remedy the cause of the moisture. A poultice is applied to a stone tile to remove a stain. To make a poultice you must combine an absorbent material with a chemical, or mixture of chemicals, in order to form a thick paste. The poultice is then spread over the affected area in a thickness of between ¼ ” to ½ ” with a plastic or wooden implement and allowed to stand for between 24 and 48 hours. During this time, the chemical will draw the stain into the absorbent material and away from the stone. This process may have to be repeated several times in order to remove the stain. However, it is possible that the stain may not be removed completely. Absorbent materials you can use for the poultice include fuller’s earth, kaolin, diatomaceous earth, whiting, powdered chalk, talk, and white molding plaster. About one pound of your chosen material will be needed for each square foot of tile that must be cleaned. Whiting and iron based clays such as fuller’s earth should not be used with acidic chemicals, as the reaction will prevent the poultice from being effective. Highly volatile solvents such as mineral spirits or acetone can be combined with other absorbent substances such as white paper towels, white cotton balls, or white gauze pads. Commercially available premixed poultices that require only the addition of water may also be used. The poultice you decide to use will depend on the type of stain. Each type of stain will require a different mixture for optimal removal. Oil-Based Stains – Create a poultice with water and baking soda or combine one of the powdered absorbent materials and a commercial degreaser or mineral spirits. Organic Stains – Create a poultice with one of the powdered absorbent materials and a 12% hydrogen peroxide or acetone. Iron Stains – Create a poultice with a commercial rust remover and diatomaceous earth. However, be careful as many rust removers will etch stone. It may be necessary to consult a professional to remove an iron stain. Copper Stains – Create a poultice with ammonia and one of absorbent materials. However, these stains are very difficult to remove and may require the services of a professional. Water Based Paint Stains – Create a poultice with a commercial paint remover and one of the absorbent materials. Oil Based Paint Stains – Create a poultice with mineral spirits and one of the absorbent materials. If the stain is deep within the stone, it may require methylene chloride. If you must use a highly volatile solvent in your poultice, pour it directly on a paper towel and then place the paper towel on the affected area. Ink Stains – Create a poultice with mineral spirits and one of the absorbent materials. If the stain is embedded deeply within the stone it may be necessary to use methylene chloride. If you do use a highly volatile solvent, pour it directly on a paper towel and place directly on the affected area. Biological Stains – Create a poultice with ammonia and one of the absorbent materials. Instead of ammonia you can use bleach or hydrogen peroxide. Only use one of the chemicals, do not mix as they combine to create a toxic gas. *Flammable Materials – The above text does not purport to address all possible safety concerns which are associated with the use of flammable solvents. The user is cautioned to consult the manufacturer’s labeling and MSDS for complete cleaning directions and handling directions for the individual products. There are commercial cleaners available for many of the most common stains, which may have fewer safety and health concerns. First, you will need to prepare the poultice. If you are using powdered material, mix it with the cleaning agent or chemical until a thick paste with a smooth consistency is formed. If you are using a paper product or cloth soak it in the chemical and let the excess drain. You do not want the liquid to drip. Next, you must prepare the stained area by wetting it with distilled water. You are now ready to apply the poultice. Apply ¼” to ½” of the poultice to the affected area and beyond it by about one inch using a wooden or plastic scraper or spatula to apply evenly. Once you have applied the poultice cover it with plastic and tape the edges to seal the poultice in. Make several small holes in the plastic covering to allow ventilation. You will now need to give the poultice enough time to completely dry and draw out the stain. This could take up to 48 hours. After 24 hours remove the plastic and allow the poultice to continue drying. Once the poultice is completely dry, remove it from the affected area, rinse with distilled water, and buff dry using a soft cloth. If the stain is still visible, repeat the process. Repetition may be required as many as five times. If the surface has been etched by one of the chemical agents, apply a polishing powder and buff with the pad recommended by the manufacturer. 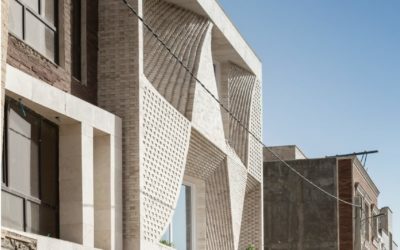 Exterior stone is any stone or stone tile that is used on the exterior of a structure. It may be utilized as a facing material such as siding or as a structural component. 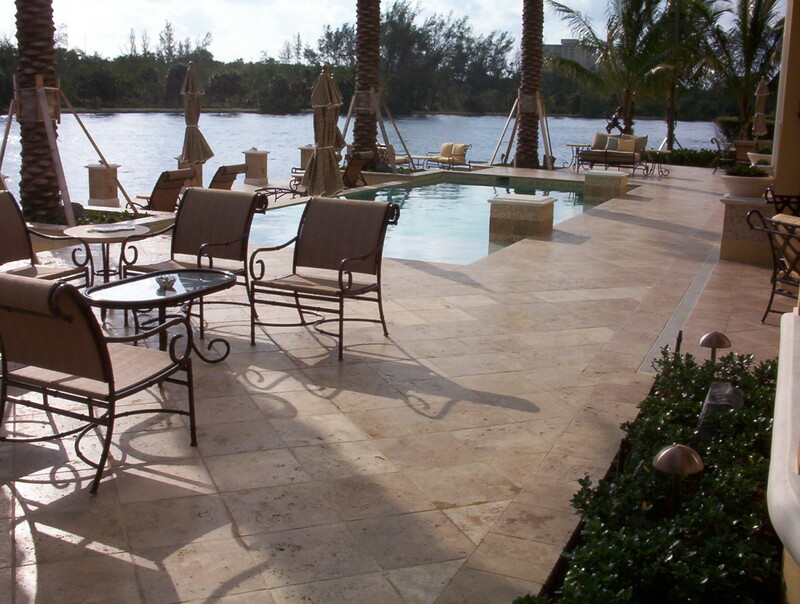 The first step to maintaining travertine installed outside is routine cleaning, ideally at least once per year. This can be done simply by rinsing with clean water in order to prevent an accumulation of dirt and other impurities. If regular cleaning has not been performed, the most cost-efficient method is one of the commercially available water systems such as hydro-air, plain water, or hydraulic. Older buildings, with an accumulation of dirt on the stones, may be more difficult to clean. A pressure washer should remove most accumulation. If additional cleaning is necessary soft bristled brushes are recommended. However, the use of chemicals on exterior stone could be detrimental to the appearance and should be used only by professionals. Before you begin a cleaning project choose a small section to test. This will ensure that the cleaning method produces satisfactory results and is not detrimental to the stone. Ideally, the section should be in the least visible place possible in case any discoloration takes place. Not all grouts need to be sealed. To determine if your grout needs to be sealed apply a small amount of water to the grout. If the grout darkens, a sealer is required. The two types of grout sealers are a topical sealer and a penetrating sealer. The topical sealer will create a wet look and a penetrating sealer provides a natural look, which does not affect the appearance of the grout. One method of sealer application is to apply the sealer directly to the grout joints and buff off any that happens to adhere to the tile. Another popular method is to apply the sealer over the entire surface of the tile and grout joints and then buff the sealer off the tile with a terry cloth or soft rag. For the best results follow the manufacturer’s guidelines closely. As with all stone tiles, it is important that any spills be immediately wiped up from the grout. Soap-less detergents and pH balanced cleaners should be used for routine cleanings. Loosen debris in grout joints with a soft bristled brush then rinse with water and allow the area to dry. Acidic cleaners should be avoided because they can make cleaning more difficult in the future and may permanently damage or discolor grout when used repeatedly. Another option is the use of commercial cleaning machines or buffers. These are especially useful for large areas of tile and grout that need a deep cleaning. There are several cleaning solution options for these machines. A final option is the use of acidic cleaners, although this is the least desirable due to the problems mentioned earlier. The two safest, and most effective, options are cleaners with sulfamic acid and phosphoric acid. If you do use one of these cleaning products, it is critical that you follow the directions exactly in order to harm your flooring and tile as little as possible. No matter what cleaning method you choose, you need to thoroughly rinse, dry, and polish the area you have cleaned. Grout haze is the residue left by the application of the grout on the face of the tile. This can often be removed by using just water and a scouring pad. If that does not produce satisfactory results a scouring cleanser may be used or a poultice and a pad. Other options include a commercially available grout haze removal cleaning solution or an acidic cleaning solution. 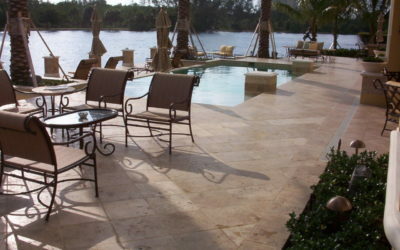 No matter which type of travertine you choose or where you install it, taking proper care of it is essential for lasting quality. Following these tips along with your manufacturer’s recommendations will help keep your space in tip top shape and your travertine in like-new condition.